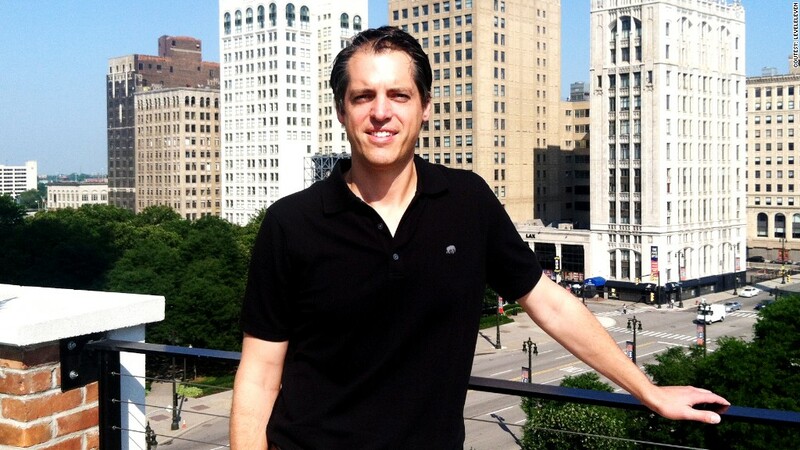 Bob Marsh, CEO of LevelEleven, said tech startups like his benefit from a flood of investment into Detroit and a growing community of new small businesses. There's a divide in Detroit: While the city deals with bankruptcy, its entrepreneurs swear it's a great place to be. 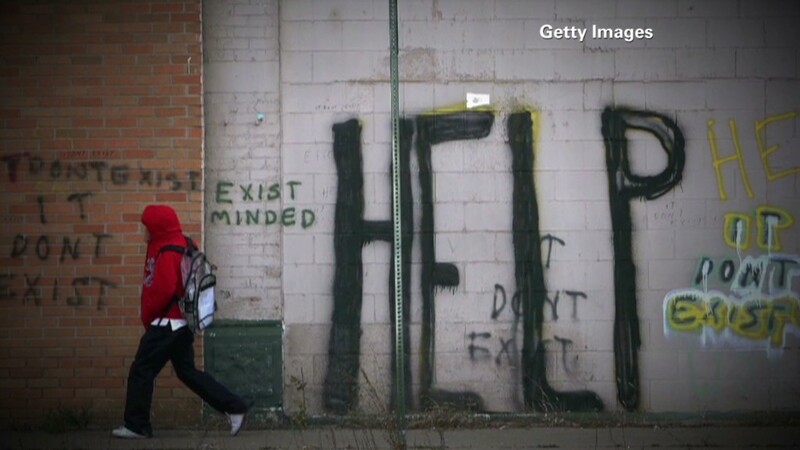 The message they've been pushing is that Detroit is a different city now, and even bankruptcy won't change that. "The truth is, the bankruptcy doesn't affect us," said Jake Cohen, a partner at Detroit Venture Partners, a $50 million fund that invests in local tech startups. "The entrepreneurial community has grown because young people have decided to stay and build their companies here," Cohen said. Entrepreneurs point to several pro-business initiatives. In 2007, Michigan eliminated its 4.95% tax on small businesses, and it has started phasing out its property tax. In addition, companies can tap into an expanding talent pool, because more state college graduates are sticking around. While 51% stayed in 2007, that has jumped to 63%, according to a recent study by iLabs at the University of Michigan. Craig Dulman is among those who left but now sees the city's potential. He grew up in Detroit, attended Michigan State University and fled for opportunity. He spent three years in Chicago, surrounded by many like him who still wore Detroit Tigers baseball hats. Last year, he decided he had a duty to return. "It's home. There's a lot of pride here," said Dulman, now 26. "Yeah, the city's been mismanaged for 50 years plus. But at the same time, there's a chance to start fresh." He joined LevelEleven, a tech startup that makes software for other companies' sales teams. His boss, CEO Bob Marsh, said the biggest draw for entrepreneurs is the support they get from groups like Detroit Ventures, which backed his startup. Marsh's company has benefited from the flood of investment into Detroit by financiers like Dan Gilbert. The Quicken Loans founder lays claim to some 30 buildings there. He also poured money into Detroit Ventures, which alone has invested in more than a dozen startups. Additionally, Marsh points to the excitement that comes from being part of Detroit's turnaround. That sense of purpose creates motivation that "gets people pretty revved up," Marsh said. "Most people who are excited about being part of a startup -- building something -- are really attracted to Detroit." The most recently available U.S. Census data shows that business creation has indeed picked up. There was a five-year steady decline in the number of new firms, reaching a low of 4,832 in 2010. That turned around and edged higher the next year to 5,167. But outside the office, entrepreneurs still face challenges. Police are slow in responding to emergency calls. And criminal havens abound with 78,000 abandoned buildings in varying stages of decay. Security concerns didn't prevent Kasey Miller, 27, from leaving Louisville, Ky., to join LevelEleven as a business development manager. "I'm not some big, intimidating woman," Miller said. "I ride my bike around downtown by myself. It's not as scary as people make it out to be. If I can move here from Kentucky, which is a haven, and feel safe, then anybody can." But she and other locals admit that depends on where you live. Detroit's three layers include much-praised outer suburbs and a rapidly improving inner core, but then there's the vast midsection sprawl that's plagued by failing services. "You hold your breath when you cross over that mile of the road. That's it," said Miller, downplaying concerns. "There's opportunity here for anyone in our generation. Anyone who's up-and-coming relates this to New York in the 1970s. Why would you want to be anywhere else?"